Mahindra Group Chairman Anand Mahindra seems very impressed by jugaad technology for employed at Sonam Wangchuk's Himalayan Institute of Alternatives in Jammu & Kashmir's Ladakh. This one innovative and efficient example has got everyone impressed online, where an old car has been converted to a roof of a house. 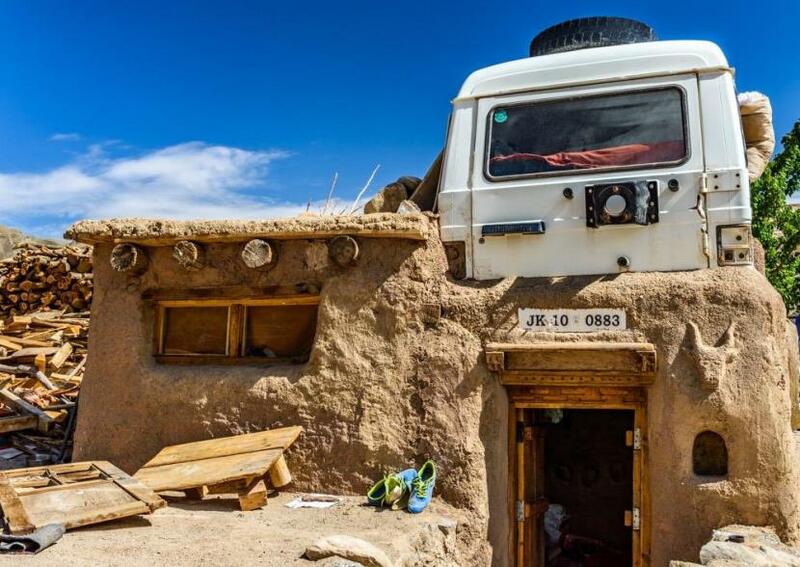 Mahindra on Friday shared a series of photos showing how smartly an old car was recycled and used as an alternative for a roof of a house in Ladakh. According to his tweet, the photos of the creative solution was from Sonam Wangchuk's Himalayan Institute of Alternatives, "where nothing gets discarded." Lauding the unique idea, he said, "Well this will compete with our auto-shredding venture but it's far more creative!" optimum use of available resources. Car used for Roof along with storage. I am a big fan of this man, @Wangchuk66. He never ceases to impress me with his innovative ideas. Hats off to you sir and your institute. As many studies have suggested that old vehicles, ageing over 15-year-old contribute to air pollution in a major way, there is a huge debate about how sustainably the waste generated from such cars can be utilised in the best way possible without further harming the nature. The solution got many talking online about recycling old vehicles and how more of these measures must be adopted.